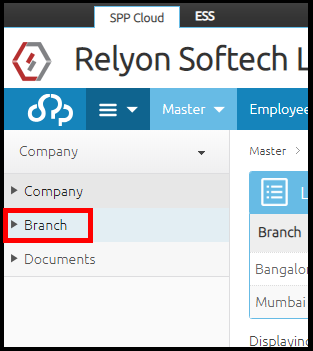 Step-1 To create Branch go to the Company option and select Branch. Step-2 Here add a new branch from the top right by clicking on Add New Branch. Step-3 Enter the mandatory fields, Branch Name, Responsible Person, address and state of the branch. Mandatory fields are shown with red highlight. Click on Create Branch to create the new branch. Step-4 Once created, come to the PF details and select the respective PF group and effective-from date and click on Create PF Detail. Step-6 Follow the same procedure for ESI and PT details as well. Repeat the process to create all the branches with respective PF, ESI & PT Groups. The last option is to attach documents which are related to company and salary processing. This is an optional setting. 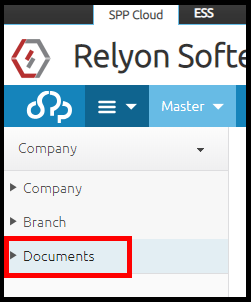 Go to Documents under Company. Here add a new document from the top right by clicking on Add New Document. Here, select the required file, give any remarks for the document and click on Upload New Document. We can upload any number of documents related to the company in the application.